While the thought of nabbing a potential star with the 3rd pick in the 2019 draft is tempting, the Jets should trade down if given the choice. They have multiple areas of need, including offensive tackle/guard, wide receiver, running back, and the elusive pass rusher. 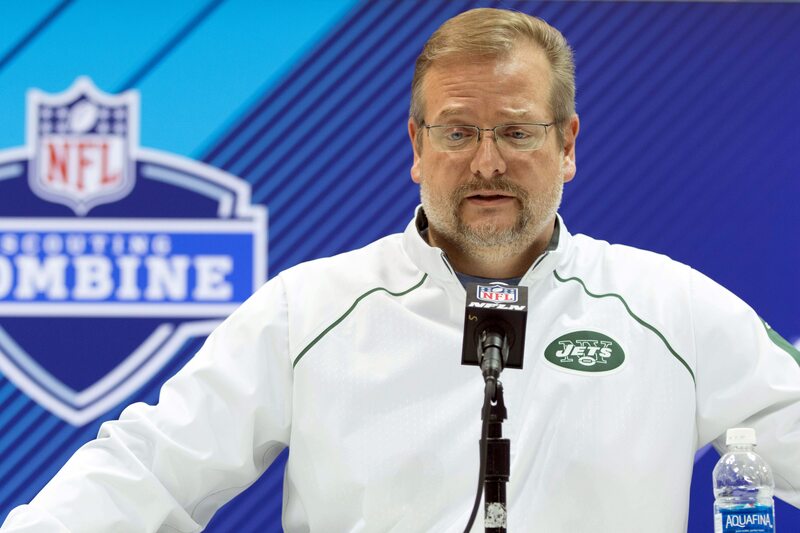 Trading down would give Maccagnan more picks, which would give new head coach Adam Gase more players he can develop to help the Jets get back on track. Plus, the Jets will know exactly what to look for if the Giants come calling for the 3rd pick. They traded up from 6 to 3 last year to secure their franchise quarterback, Sam Darnold. In doing so, they gave up three second-round picks, including their 2nd round pick this year. Now, if the Giants really want Haskins, the Jets have a blueprint of what they can demand from them. A trade could, and should, net them the 6th pick, the Giants’ second-round pick and much more. Sure, the Jets could miss the chance to draft a top-tier talent at #3, most likely on the defensive front. Yet they’ll have over $100 million in cap space going into the free agent market. With this money, they can recruit and pay for some high-quality players. There will definitely be proven names that the Jets can bargain for. Though the draft could have numerous skilled defensive linemen, free agency will provide a few experienced players on the rise. Maccagnan’s shopping list should include pass rushers like Dante Fowler Jr., Trey Flowers, and Brandon Graham. Additionally, the Jets could throw a Hail Mary and splurge on a bigger free agent target, like Le’Veon Bell. Some Jet fans might believe the Jets could lose out on getting a great player for their team by trading down from #3. Those fans might crave a player like Ohio State’s Nick Bosa, Kentucky’s Josh Allen, or Alabama’s Quinnen Williams. Either one of these guys would give the Jets a defensive stud that could finally help them solve their pass rushing problems. Yet the wonderful, and scary, thing about the draft is that there are no guarantees. No one really knows how these young players will turn out as pros. From that perspective, there really isn’t a huge difference between picks 3 and 6 in the draft. Also, the Jets should still have a chance to get a pretty solid defensive lineman if they trade back to 6, such as Michigan’s Rashan Gary or Clemson’s Clelin Ferrell. And again, there are no guarantees when it comes to the NFL Draft. Top prospects often slide farther than where the projections have them pegged. To that end, it’s a distinct possibility that a touted player like Bosa, Allen or Williams could wind up on Jets, even at pick 6. The Jets would know. Two of their cornerstones on defense just happened to fall to them at #6: Leonard Williams and Jamal Adams. The 2019 draft gives the Jets the chance to do a role reversal. If the Giants ask for the 3rd pick, the Jets shouldn’t hesitate. The Giants could get their franchise quarterback of the future in Dwyane Haskins, just a year after passing on Darnold. On the other hand, the Jets can get more picks that can help strengthen the foundation of their team. It’s a better way to help them build around their franchise quarterback. It’s a no-brainer. Why would the giants even consider Josh Rosen when he is only one good hit away from a career ending concussion?